Change and save lives with your contribution to Family Shelter Service of Metropolitan Family Services DuPage. Change and save lives with your involvement with Family Shelter Service of Metropolitan Family Services DuPage. Your gift will help ensure that there are shelters for families escaping violence, hotlines for crime victims, research based programs for abused children and youth, and many other crucial services when victims urgently need them. Whether you are a longtime supporter of Family Shelter Service of Metropolitan Family Services DuPage, or you are giving for the first time, we appreciate your financial support on behalf of the families and communities we serve. Every day in DuPage County, women seek help to escape situations of domestic abuse. Each year, lives are lost because women were not able to access the help they needed to leave a violent situation. By sponsoring the 24/7 Hotline, your donation will ensure that there is someone waiting to answer the call and connect victims of domestic violence to the services that will help them out of an abusive situation. You will ensure that some of the most vulnerable people in your community are able to get the life-saving help they need. Every day, we rely on your support for funding the 24/7 Hotline. Every day dozens of women bravely pick up the phone and ask for help. The phone is ringing. Will you answer the call? Sponsor the 24/7 Hotline today! When you make a planned gift to Family Shelter Service of Metropolitan Family Services through your will, living trust or estate plan, you can have the satisfaction of knowing that you are making a difference in the lives of countless individuals who are seeking a life free of domestic abuse. And your contribution will help to support the programs and services of FSS of MFSD well into the future — creating a revenue source that can act as a buffer against the volatility of support provided through governmental and other organizations. In short, your gift will create a legacy that helps to ensure that our important work continues beyond your lifetime. Bequests may provide substantial tax benefits to the donor’s estate. Name Family Shelter Service of Metropolitan Family Services DuPage as a direct beneficiary of all or a portion of an IRA. Assigning a life insurance policy to FSS of MFSD is a practical way of making a significant contribution, whether or not the policy is paid up, partially paid or new. Tax benefits depend on policy status at the time of the gift. Appreciated Securities: You may deduct the current market value of the securities as a charitable contribution, thus avoiding capital gains tax on the appreciation. With a Charitable Remainder Trust, you would transfer assets to a trust and arrange for your beneficiaries to receive a portion of the market value of these assets each year. When the trust ends, the remaining assets are transferred to FSS of MFSD. Through a Charitable Lead Trust, you also set assets aside. In this case, however, the trust makes annual payments to FSS of MFSD. When the trust ends, the remaining principal goes to your designated beneficiaries, often with significant tax savings. In addition, there are no capital gains taxes on the assets that you donate or pass along to your heirs through the trust. We encourage you or your professional advisor to contact FSS of MFSD to discuss planning a gift that meets your philanthropic goals and expresses your generosity and caring. For in-kind donations, please contact Mary Beth Glenn at 630-221-8290 x7109. Click here for a list of current shelter needs. Got stuff? 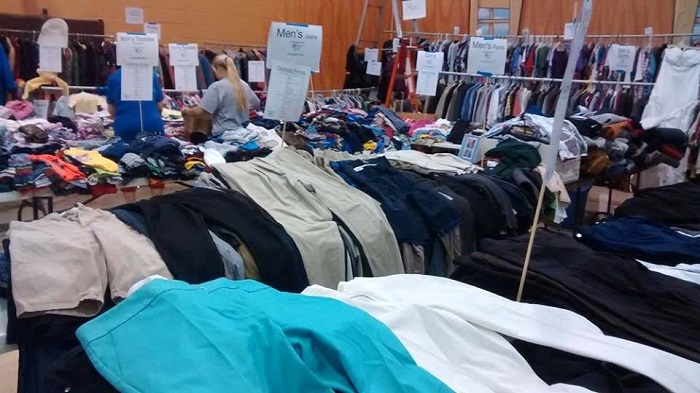 We welcome you to bring your gently used clothing, dishes, housewares, linens, jewelry, accessories and other miscellaneous items to our two Second Chance Resale Shops. Your donation will generate revenue to support our programs. In addition, our clients can shop at no charge to replace the items they have had to leave behind. Store sales go to support Family Shelter Service of Metropolitan Family Services DuPage programs for victims of domestic abuse. Donate your old cell phone to support the critical programs of Family Shelter Service of Metropolitan Family Services DuPage and help our environment at the same time. You may drop off your used cell phones at either of the Second Chance Resale Shops in Naperville and Westmont. Volunteers make a difference! Click each volunteer position below to read a description. The State of Illinois requires that anyone working in direct contact with victims of domestic violence or their confidential information must complete an approved 40-hour training program. Volunteer positions which require 40-hour training are noted on each position description. provided orientation, training, support, supervision and evaluation. Violence in the home strikes at the heart of our community – our families. However, with intervention, the cycle of abuse can be broken. Volunteers truly make a difference in the lives of victims of domestic abuse and their children. We hope you will join the volunteer community at Family Shelter Service of Metropolitan Family Services DuPage as we continue to offer help and hope to those affected by domestic violence. Family Shelter Service of Metropolitan Family Services DuPage is delighted to know that you are interested in participating in our 40-Hour Domestic Violence Training session. Registration is now open for our April 23, 2019-May 18, 2019 training. Click Here for details and training schedule. Classes are held from 5:30-8:30pm on Tuesday and Thursday and on Saturday 9am to 4pm, with a one-hour lunch break. We realize that you are making quite a commitment to attend the training, so we encourage you to dress casually and feel free to bring lunch and snacks for yourself as we have a large refrigerator for storage! The training is held at our Community Counseling facility, located in Downers Grove. We charge a $250.00 fee for professional or personal education, a $125.00 fee for Family Shelter Service volunteers and a $75 fee for students, to cover the cost of the training and manuals that you will be able to keep as a great resource. Reservations tend to fill up quickly due to limited space and a high interest from community members, so we cannot guarantee slots will still be available by the registration deadline. Domestic violence is a very complex issue that affects one out of three women in her lifetime. The Illinois Coalition Against Domestic Violence therefore requires that all domestic violence staff, interns and volunteers who wish to provide direct services to victims complete a minimum of 40 hours of training. FSS of MFSD has been approved by the ICDVP Board of Directors to offer this training. Our professional facilitators offer this training two to three times a year and trainings are open to professionals and community members who wish to learn more about this devastating societal problem. No matter what your reason for attending this training, you will find it to be a life-altering education experience, and the knowledge you gain will enable you to advocate in your community on behalf of all victims. Please feel free to participate in our next training by completing and returning a printable training form. Our two FSS of MFSD Resale Shops support our mission to provide “help and hope” to survivors of domestic violence in DuPage County. 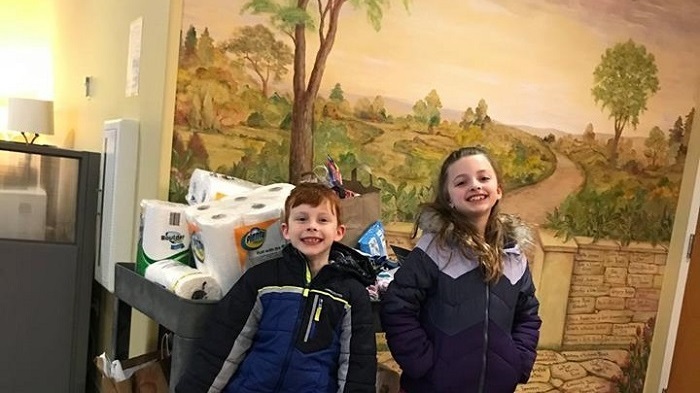 The Resale Shops, located in Naperville and Westmont, create an additional source of income to help Family Shelter Service of Metropolitan Family Services DuPage. Our shops also provide our clients and their families an opportunity to replenish their wardrobes and households with gently used items, free of charge. And, FSS of MFSD Resale Shops give you an opportunity to save lots of money while creating a unique personal style! The drama of the Golden Age of Hollywood will enchant nearly 425 attendees as we raise funds in support of our neighbors, co-workers, friends, and family who seek safety and support while escaping abusive relationships.